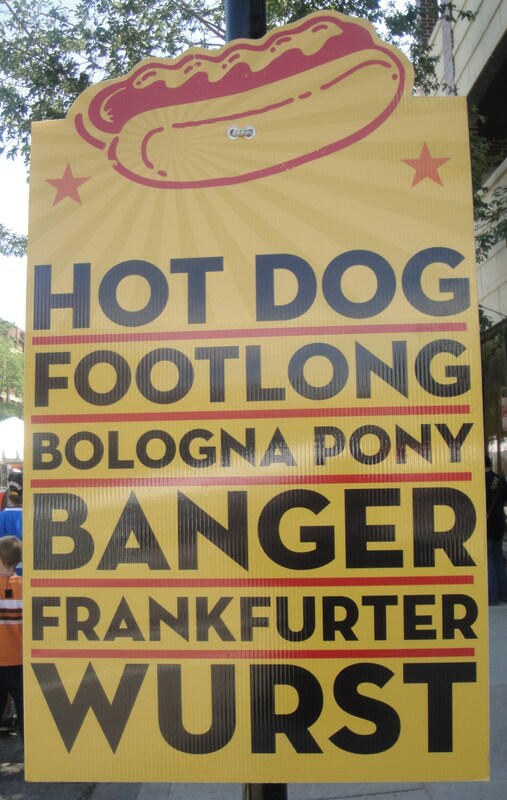 Forget watching planes and boats, this weekend the festival of choice was the Hot Dog Festival in Northside. I could have fought my way through the masses along North Avenue beach or I could have eaten a hot dog sitting casually in the sunshine on Lincoln Avenue. 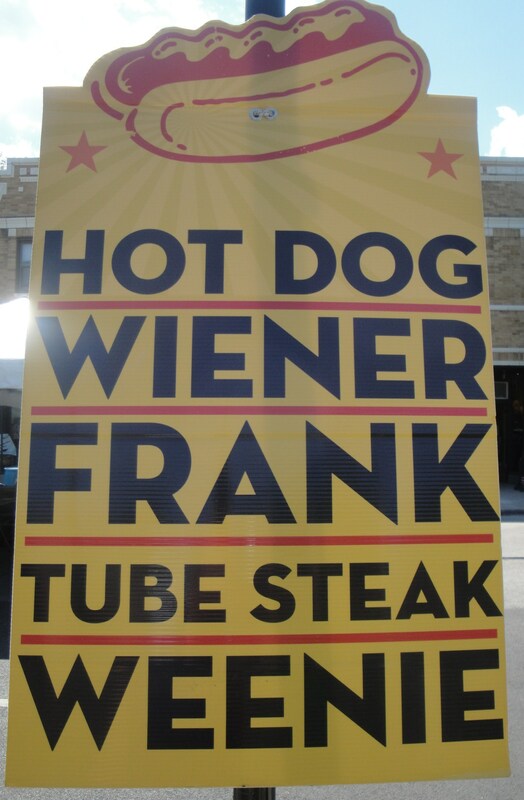 Tough choice and I take the hot dog every time. All along the street were some pretty cool signs that I really would have liked to have got my hands on for the kitchen wall, but instead I had to be restrained and only take a photograph, still anyway that ways I get to share with you as well. 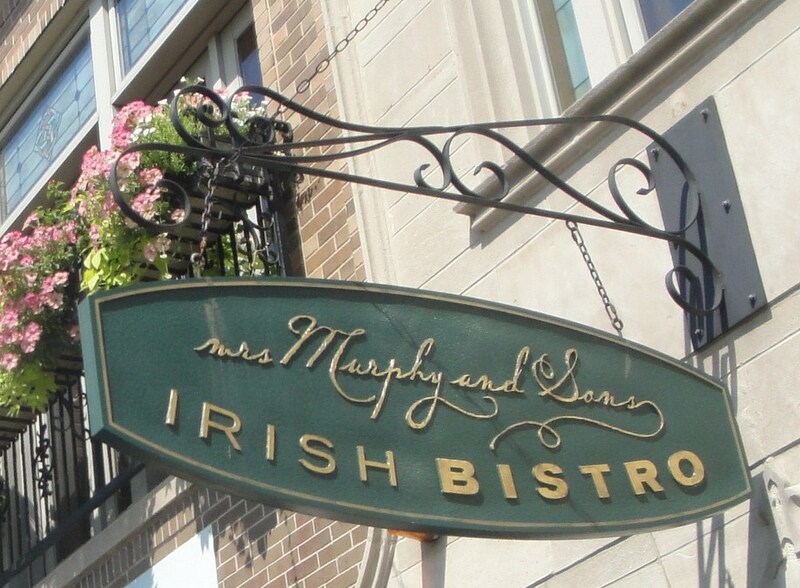 Mrs Murphy and Sons Irish Bistro at 3905 N Lincoln Avenue, lay right in the middle of the Summerfest corridor and they had a stand right outside their resturant. 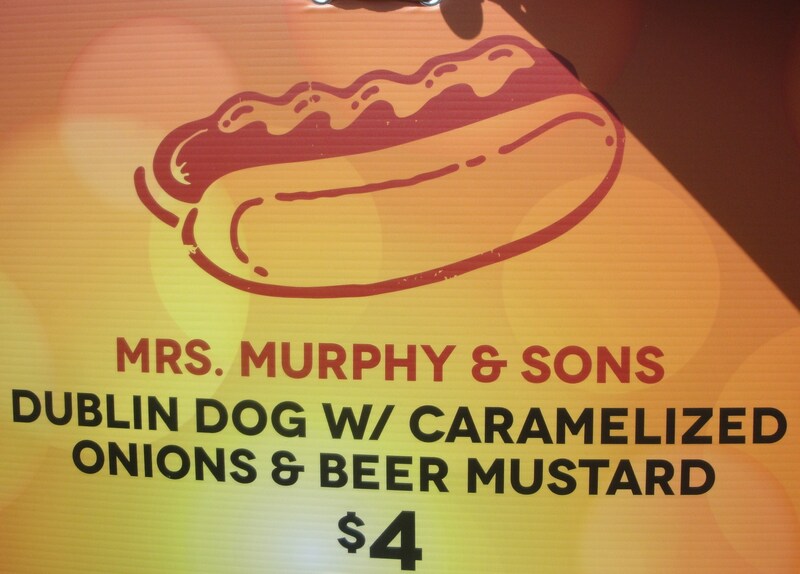 Despite not being a hot dog specialist they did have some interesting items on their menu. I nearly had the French Fry corn dog as it was such a cheeky offering, a dog coated with a batter containing french fries was an artery busting temptation that I managed to resist. 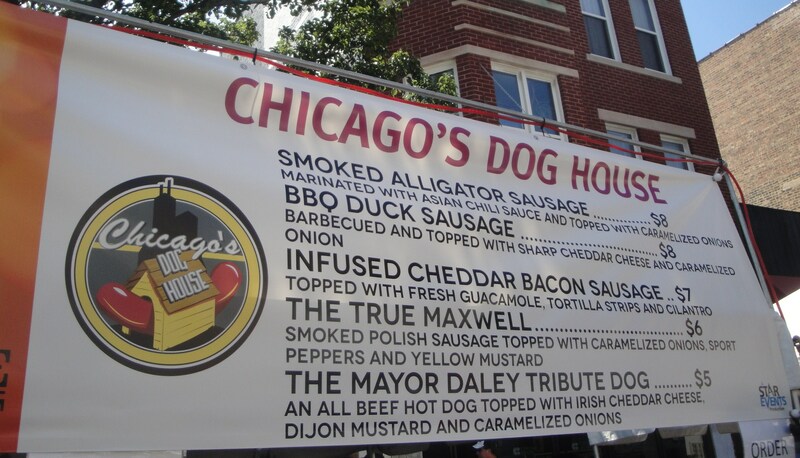 The other temptation of note was as always from Chicago’s Dog House. I have had this particular dog before and I glad to be able to recommend it to my companion on this occasion. 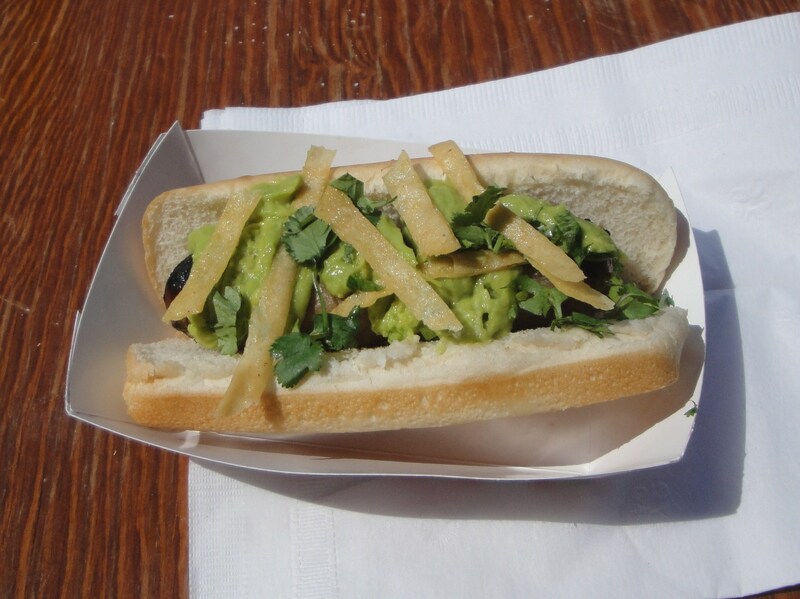 This was the Infused Cheddar bacon sausage which is covered with a fresh creamy guacomole, some coriander (or cilantro) and some fried tortilla strips. I personally didn’t care for the tortilla strips when I had it and my companion concurred, but the sausage lived up to expectation the cheese filling is always a treat and the guacomole and cilantro make a great combination. 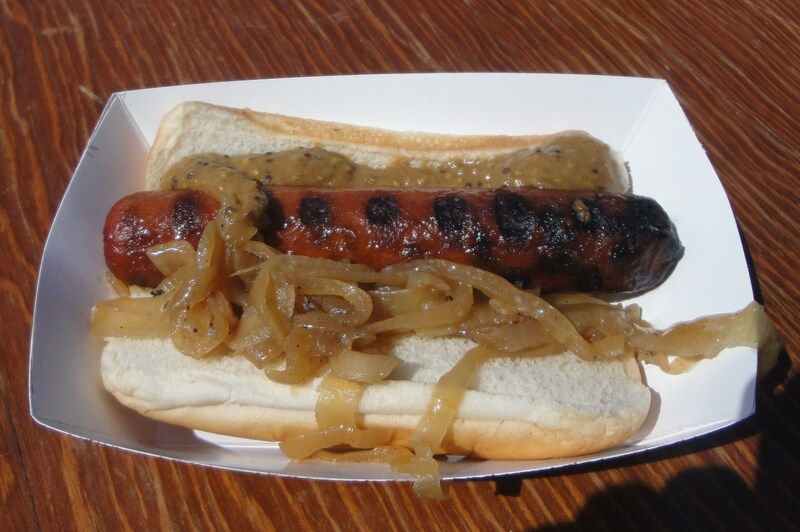 At $7 almost twice price of the $4 Dublin Dog it is hard to say which was better value, I think the Dog House had a better combination and tastes better so I think that makes it better value.